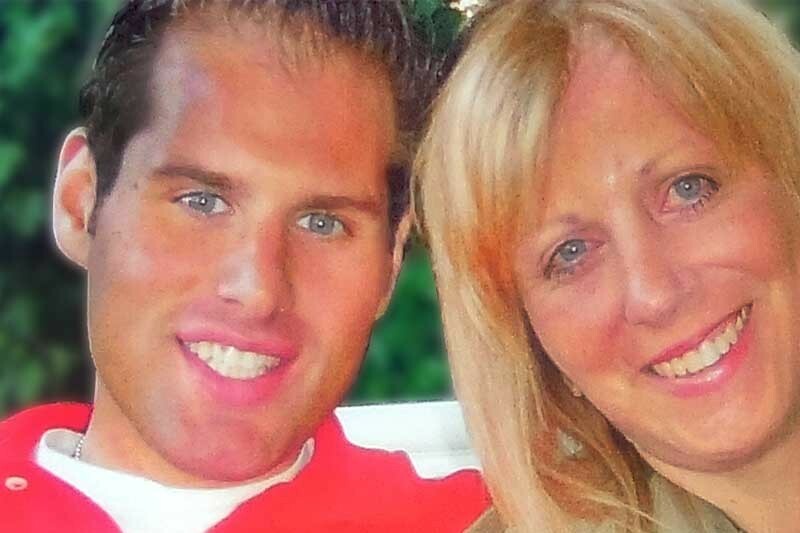 On Friday, July 15, 2016, my only son Brian was tragically taken away from me by a deadly combination of heroin and Fentanyl. He suffered from severe anxiety and was given this deadly mixture, which he was told would help him. His anxiety finally stopped forever, as did his heart. He died instantly and never saw it coming. Brian was a wonderful, handsome, loving son who had big dreams just like every child. Unfortunately his life was taken away in a split second. I call this murder, and it is happening EVERY DAY. You never in a minute would think this can happen to you and then in one split second your life changes FOREVER. A good portion of the money generated from every sale will be put aside into a separate fund which will be used to provide addicts the opportunity to enter a rehabilitation facility which hopefully will save their life. Some of the money will be used to produce more bears and cover expenses to keep this movement alive. Each bear that is purchased will allow the buyer to submit the name of someone struggling with addiction. This will be ongoing, so the more bears I sell, the more I can help someone in need. I am now partnering with excellent rehabilitation facilities which have agreed to step forward to seek sponsorship and to sign on to work with me so that, together, we can make this happen. Let's all join together and help these poor victims that are suffering from this horrible disease..
"When you feel that you can't bear the pain, hug this bear and say my name." Each bear will wear a heart pendant where you can put a picture of your loved one. Any donation --- no matter how small --- will help support this cause. Thank you for all your support We need to join together and stop these lives from being cut short. No mother or father should ever have to bury their child. ccooperrsg@gmail.com They will be ready shortly. Now that I am out there all the time I'm starting to meet people that truly need my help. Your donations are very important to me so anything you can afford would be greatly appreciated. Just know, it is going to a great cause to save lives I cannot do this on my own. Thank you. I wanted to say thank you for everyone who is supporting me and for all the prayers that I have been receiving. This is the hardest thing I have ever had to face, and at times, I feel like I just cant do it anymore. I need you to stay with me. I must finish my journey. I have been told my purpose is to help others with addiction. I must keep fighting so please stay with me and keep those prayers coming. I have been able to donate 2 times already to Hansen Foundation Without your support, this would not happen. I will continue to fight so I may help others. If I can save just one person's live, I will understand why I am still here and my beautiful and loving son is not. Thank you all from the bottom of my heart. Your support and love is what keeps me going now. I have now been fortunate to connect with some wonderful people that share my passion to help people suffering from the cruel disease of addiction. I am determined to make a positive change in people's lives and have my angel Brian guiding me through this very difficult journey. Again thank you to everyone who has been donating. I can assure you that you will be seeing the results I achieve to make a difference. I could not save Brian's life but I am determined to find someone that still has a chance to turn their life around. Any donation will help no matter how small. Thank you again to allow me to honor my beautiful son. Donating in Memory Of your beloved Brian. My thoughts and prayers are always with you Carol. 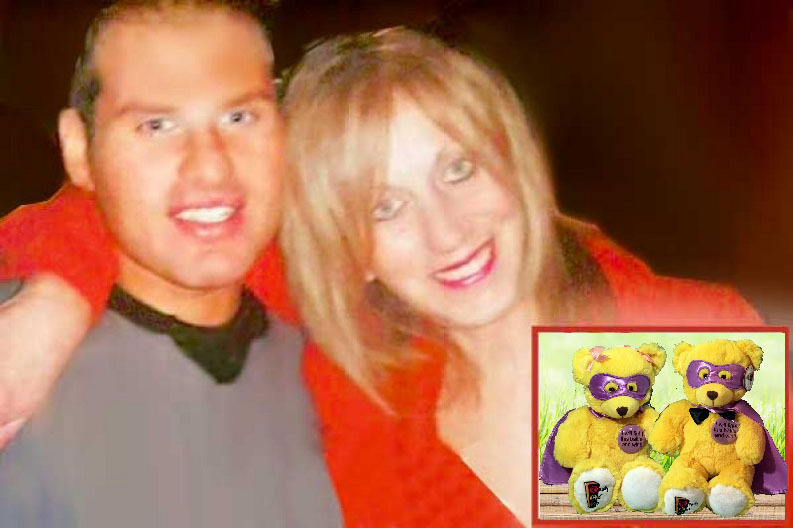 The beautiful bear has a very special meaning to my Brandon. Thank You.